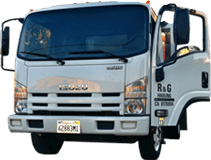 R&G Hauling provides professional and affordable hauling services in Pasadena, Monrovia, Arcadia, Glendora, Burbank, Glendale, and surrounding cities. We'll remove and haul away furniture, appliances, household items, clothes, exercise equipment, construction debris (cardboard, metal, bricks, cement, and more), green/yard waste, and miscellaneous junk. Since 1993, we have served thousands of satisfied residential and commercial clients. Our service-oriented approach, competitive prices, and attention to detail have earned us a reputation as one of the best values for hauling services in the San Gabriel Valley. We are a fully insured, family owned and operated, local business with over 20 years of experience. All of our customers work directly with the business owner, Rob Brion, who will ask all the necessary questions to understand exactly what your hauling job entails. With this information, he is able to provide an upfront, accurate quote and ensure that he arrives fully prepared to get the job done. Once the job is scheduled, you can expect that we'll arrive on time in a clean, well-maintained, newer-model hauling truck with the right number of guys to complete all hauling and clean up in a time-efficient manner. Everyone on our team takes extra precautions to remove furniture and other items without scratching or damaging the walls, floors, or anything else. 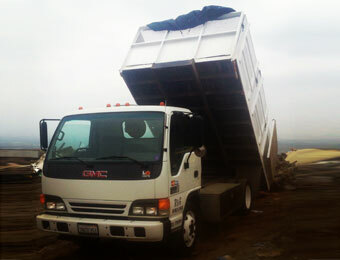 To keep as much waste out of the landfill as possible, we recycle a large portion of the items we haul away. At R&G Hauling customer satisfaction is our top priority. We provide friendly, punctual service and always try to work around each customer's schedule. 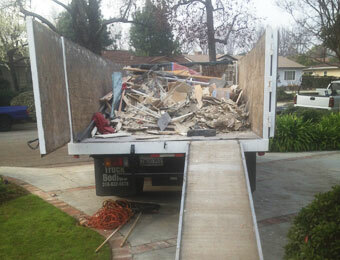 We are available seven days a week from 7:00am to 7:00pm, and provide free over-the-phone or on-site estimates on hauling services in Pasadena, Monrovia, Arcadia, Pasadena, Glendora, Burbank, Glendale, and other nearby areas.